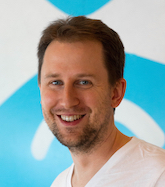 Drupal related posts by Gábor Hojtsy. As people say, the best way to learn is by doing! 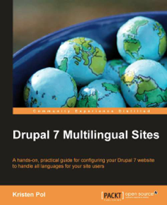 Did you ever want to have a better multilingual solution in Drupal? Well, Drupal 8 is a big chance. While not everything will be perfect, it will be worlds apart from Drupal 7 in all the good ways. To quote some feedback from DrupalCon Prague: The work you have done for translations is a 'game changer' for the future of Drupal. and Can't wait to be able to use it on production! The best way to get started is to help fix the remaining issues! You not only get to have your hands on the new features in Drupal 8 and learn the intricacies of them, but also get mentorship on how to build with them and also help Drupal 8 get out sooner and be a better solution. We also have a lot of fun! Full of win! First up is BADCamp where you can join the amazing YesCT, Schnitzel, Kristen Pol (also presenting about Drupal 7 and Drupal 8 multilingual solutions in sessions) and several other great people sprinting on making Drupal 8 multilingual. The sprint goes all the way from the 21st of October to the 29th. There are also camps on the 26th/27th weekend in Caceres, Spain and Essen, Germany. Note that these are non-English speaking events. There are multilingual team luminaries at each event, so look for people like penyaskito (presenting Drupal 8 multilingual goodness in Caceres), attrib (presenting the same in Essen), webflo, and others. Sprint space / time commitments at these events are not guaranteed. 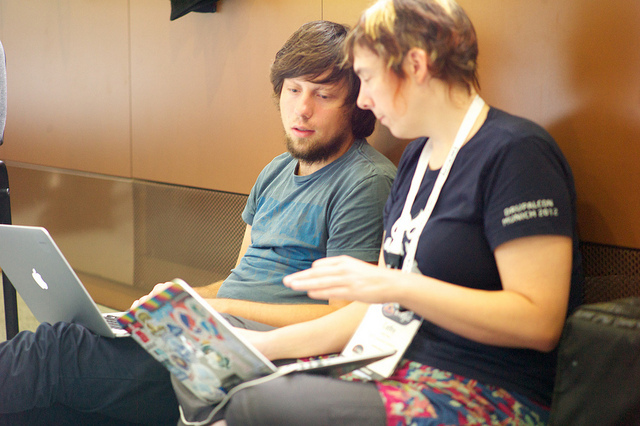 DrupalCamp Budapest is on the 16th and 17th of November in Hungary, with the second day purely reserved for sprints. This is a great opportunity for hungarian speakers to engage in some core work. Early arrival and leaving late on the sprint day helps to make a dent! I'll be there. I'll also be in full force at and after DrupalCamp Vienna in Austria. This is an English speaking international event. Given Vienna is an entities/fields stronghold, we'll get to work with fago, fubhy, yched, etc. The sprints run between the 24th and 26th of November. So far I'm the only one specifically signed up for the multilingual sprint there, so don't let me be lonely! If you cannot make it to the in-person sprints, we are congregating in the #drupal-i18n IRC channel and have a meeting there every other Wednesday. See meeting dates/times on the front page of http://www.drupal8multilingual.org/. I just presented a fully up to date version of my multilingual Drupal 8 talk this week at DrupalCon Prague to a packed audience of people sitting even on the floor to learn what is coming in Drupal 8. To quote one of the feedback posts I got: Great presentation of all the beautiful work that has been done for making multilanguage easier and more flexible in Drupal 8. Can't wait to be able to use it on production! Watch this talk to figure out why! DrupalCon Prague is in the middle of Europe, so it is just natural that there are lots of multilingal content at this event. The following is a run-down of where you may want to go to get information, ask questions and even better: get involved! Translation management (Thu, 1-2pm) by Michael Schmid and Cristophe Galli explores the tmgmt module suite for workflows and third party integration for translations. Multilingual site tools in Drupal 8 (Tue, 1-2pm) is my session about the work done by 800+ contributors to make Drupal 8 step up several levels in multilingual support. Come to explore all the ways Drupal 8 is going to make your life much easier! Creating a multilingual site (Thu 10:45-11:45am) is a BoF organized by the fine people at Lingotek where you can see their integrated translation solutions in action on Drupal 7. Translation management tool deep dive (Thu 14:15-15:15) is a BoF to go hands-on with tmgmt and ask all the questions that did not fit into the session. Find me at the Acquia booth on Tuesday from 2-4pm to talk about multilingual, Drupal 8 and many other things I do or Acquia does. I usually organise a "Multilingual therapy" BoF to bring your pains and doubts, and just answer all random questions. With so much BoF coverage I think you'll find your answers. If not, I'll try my best to be there at these BoFs anyway, so we can get things sorted there too. Did you ever want to have someone be able to step in and help you when learning a new system? Well, we need people to help make Drupal 8 rock and you will enjoy exploring and getting first hand help from us. Deal? Thanks to sponsorship by Capgemini and others, we'll work from the Saturday before DrupalCon to the Sunday after to further Drupal 8's multilingual features. We already resolved almost 500 issues and gotten a long way from Drupal 7 to improve multilingual experiences for all users, but there are more things to work on still! If you can still join us there, we'd love if you could sign up, so we know you are coming. Looking forward to seeing all you in Prague! Up to date as of October 16th, 2015. The first eight parts of this extensive series explained several great improvements in the base language system in Drupal 8, then we had five articles explaining all the great new software translation features. We are far from done yet! We still have two major categories of improvements to cover, namely content and configuration language and translation. Before we move on to the details, I wanted to post an introduction because there are very similar motivations and guiding principles around the improvements we made and this is going to make your life way easier compared to Drupal 7! Drupal core in Drupal 7 provides translation capabilities for nodes, but no other content or configuration. Want to translate your blocks or taxonomy terms or menus? No luck. Unfortunately the base system does not understand or support multilingual content and configuration for these, so the rest of the modules cannot depend on that or know what to assume. 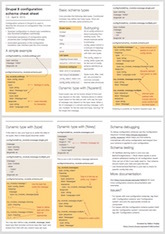 In Drupal 7 taxonomy terms are entities, but you have two choices to translate them. Either use the entity_translation contributed module (and the title module) or the i18n module suite. Both attempt to augment the system from the outside to apply their translation scheme on taxonomy terms, and other modules are not really aware of this. Display caching or taxonomy term lookup or autocomplete would not be naturally aware that there may be language concerns involved. In Drupal 7 menus or blocks are not even entities, so they map to the generic i18n_string service provided by i18n module with their own respective mapping modules (i18n_menu and i18n_block). Site settings like your site name or user account emails are not exempt from the need for glue modules. The variable suite of base modules are needed to provide the generic API that i18n_variable module will use to provide translation for these variables. Once you get into contrib land, eg. translating views or webforms, yet more glue modules are needed. For Views, you need i18nviews, for webform, you need webform_localization (note the lack of consistent naming scheme). These modules provide different levels of integrations and varying user interfaces to support your translation needs. The combination of the original modules as well as i18n, title and variable and the glue modules for each contrib module to make them work with this system ends up in a pretty sizable solution. It works in the end, but this is not what we aim for in Drupal 8. 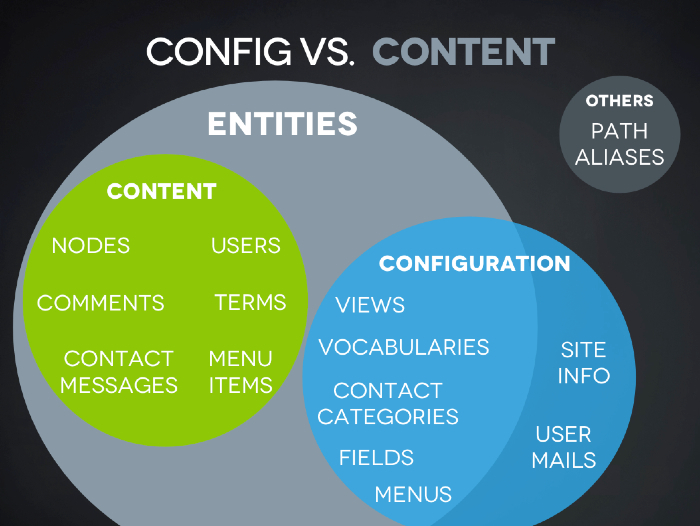 Instead in Drupal 8 the configuration and content system is (almost) all encompassing, so you mostly either work with a configuration (entity) or a content (entity). Content entities all have fields. They at least have base fields, but most support configurable fields, so you can customize fields on blocks or taxonomy terms. Both base fields and configurable fields come with native support for multilingual storage, editing and rendering. When you deal with a node or custom block, you can equally have the fields set translatable. This was made possible by the incredible effort of the configuration management initiative to get a generic configuration system in core and apply it to almost everything that cannot be considered content combined with the huge work of the entity system maintainers and application of the content entity system to much wider systems in core. When common base systems are used, we don't need specialized mapper modules (and a separate system to map to) to maintain translation information and even contributed modules will be aware of the possibility of language variance and how to deal with it. The common base systems are also great when you need to write code against contact categories or block placements, you can use the same APIs and expect identical behavior. Best of all, contributed modules applying the same base systems will not stand alone, they would use best practices built in core and work automatically with translations for configuration and content. No need for specialized systems and glue modules! You'll read a lot more about these details in later tidbits. If you don't understand these, that is normal, just wanted to give a quick summary and heads up for what is coming. The configuration system has full support for multilingual override values, so all elements stored in configuration may have language variants. There is also a contextual access system for configuration, so you can load values with specific language overrides, etc. These overrides are stored with the configuration and are fully deployment friendly as well. Default (shipped) configuration is translatable with the interface/software translation system. Such as shipped Views, content types, fields, etc. This works for all your in-house modules as well as contributed modules. Finally, there is a configuration translation user interface in core that provides a translation user interface almost fully automatically for your configuration (given the developer provided configuration schemas). Just covering these details will take up several tidbits so hold on for the details! The content entity system also became really impressive. With several elements converted to content entities (menu items, contact forms, custom blocks, etc.) and fieldability available almost universally, storing multilingual content with content entities is natural. Fields provide native multilingual storage and core has a new content translation module that serves a user interface for this functionality applying to all content entity types. So what is content and configuration then? I made the following figure to illustrate how the entity system as well as configuration and content relate. For your multilingual needs, the emergence of a generally used entity/field system and a unified configuration system are a bliss. To build new code against these will require less learning and more widely accessible knowledge, and to support foreign language and multilingual sites will be natural due to the base systems doing the heavy lifting. This is just not possible with Drupal 7 however hard we try. Read on with the upcoming tidbits for more details and insights! This book has been sitting on my desk for so long precisely so I make sure I share my enthusiasm for it with more of you. I've been suggesting this book to several friends and so far the feedback from them was also overwhelmingly positive. While Chip and Dan Heath do not deal much with software development and absolutely not open source in this book, I'd boldly say this is one of the greatest books I've read for those who want to get something done in an open source development environment. There are countless great stories in this book from all areas of life. From getting children with cancer to take their pills through saving species to attracting more customers to your carwash, it deals with situations when you seemingly don't have any directing power over the change you want to see in behavior/direction from your peers. You are not a boss, you don't pay these people, maybe you don't even know who they are, but you want to see a positive change happen. The authors built the structure of this book around a metaphor from University of Virginia psychologist Jonathan Haidt, saying our emotional side is an Elephant and our rational side is its Rider. The whole book is structured around tips to direct the rider (eg. provide specific guidance for the critical moves), motivate the elephant (eg. shrink the change or show how its already underway) and shape the path (eg. build habits to get there in a natural way). I'd highly recommend Switch - how to change things when change is hard to anybody who want to get something done in an open source community and would not plan to go it alone. An avid open source enthusiast and contributor. I am a Drupal 8 core product manager and initiative coordinator coordinator working with and on the open source project itself at Acquia. I am a regular Drupal event speaker and organizer, do communication and social media for various initiatives. I used to be the Drupal 8 multilingual initiative lead and localize.drupal.org initiator. Also I am the former release manager of Drupal 6. You can also find me passionate about singing, music and amateur acting, especially when these are all combined, however I have little time for that alongside my two adorable kids. Head to the contact page to send a mail.